Courtship Dances: weedy sea dragons, grebes and peacock jumping spiders. 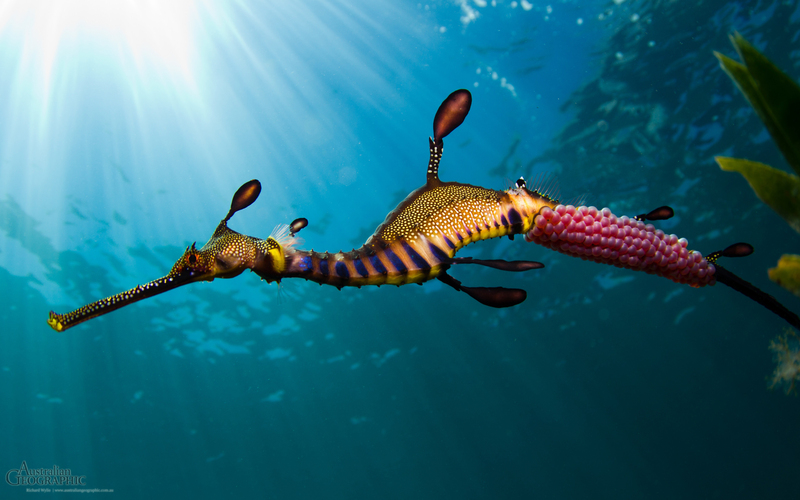 A male weedy sea dragon, Phyllopteryx taeniolatus, with its bride’s eggs nestled in specialized ‘cups’ on his tail. 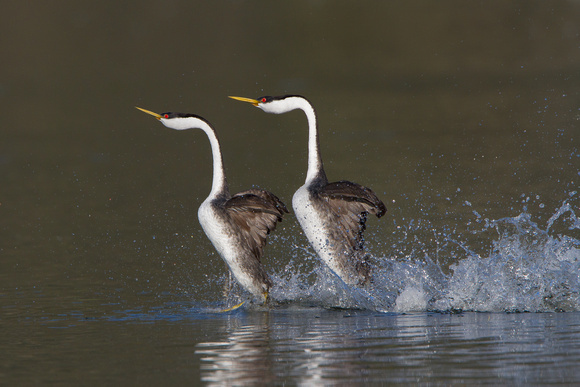 Two Western Grebes, Aechmophorus occidentalis, in the midst of their courtship dance. 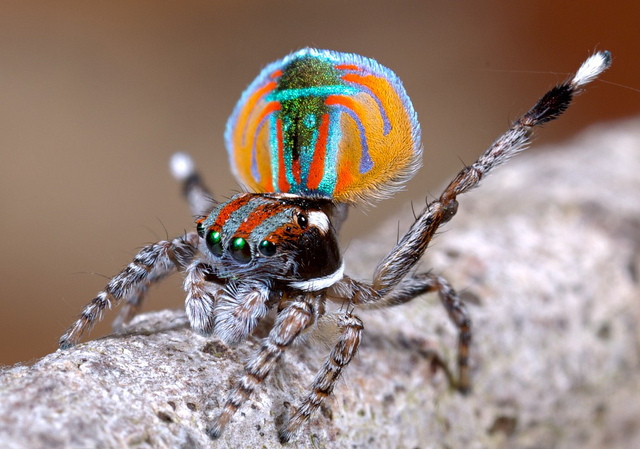 A male peacock jumping spider, Maratus volans, displaying it’s abdominal flap to nearby female(s).